An investigation is underway suggesting Lao babies have become the latest commodity in human trafficking, an issue that concerns many Lao Minnesotans. They’ve been sold to falang for as much as $5,000. A retired justice ministry figure was involved and if convicted could face up to 3 to 5 years in prison. 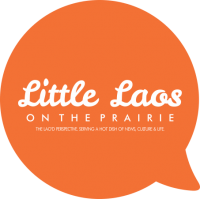 So, this week, Little Laos on the Prairie responds with: Lao Baby Sale Haiku. As always, we welcome your responses and comments!